Indian Lake (Sold): 2 bed/2 ba lakefront ranch. Ferndale, NY. $235,000. — Country House Realty: Fine Catskills and Upstate New York real estate, including Sullivan Co. and Ulster Co. Enter through the side door into the main room upstairs. Escaping city life is so very easy at this stylish lakefront paradise. Indian Lake is a small - less than 10 acre - clean and clear non-motorboat lake; just 90 minutes from Manhattan. Once a summer colony of seasonal homes, many of them - such as this pre-fab ranch built in 1988 and renovated in 2006 - are winterized and now allow for ice hockey or ice fishing right in your own back yard. 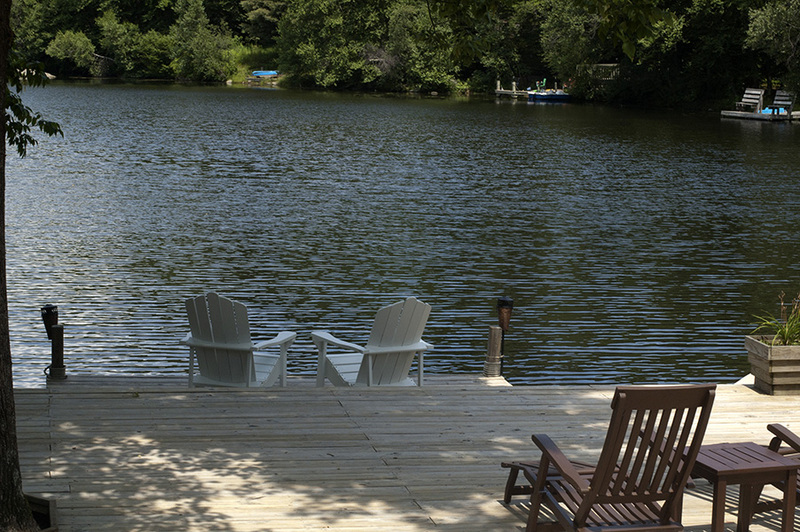 In warmer months, the extra-large deck at this cheerful renovation steps down to lake level where you can dip your toes or launch your boat right into the water. And don't let the house's "tiny" footprint fool you - it easily and comfortably sleeps and entertains eight, with two large bedrooms upstairs, one of them en suite. Also upstairs is a bright and cheerful great room: the house's indoor hub that flows through sliding glass doors onto the partially-shaded multi-level deck and dock. Between the indoor and outdoor spaces, there are three separate dining tables, and plenty of lounging space. Downstairs, the walk-out, fully finished basement is the same 960 square feet as the main floor, configured with two more good-size bedrooms and an extra-large play room, currently home to a billiard table. 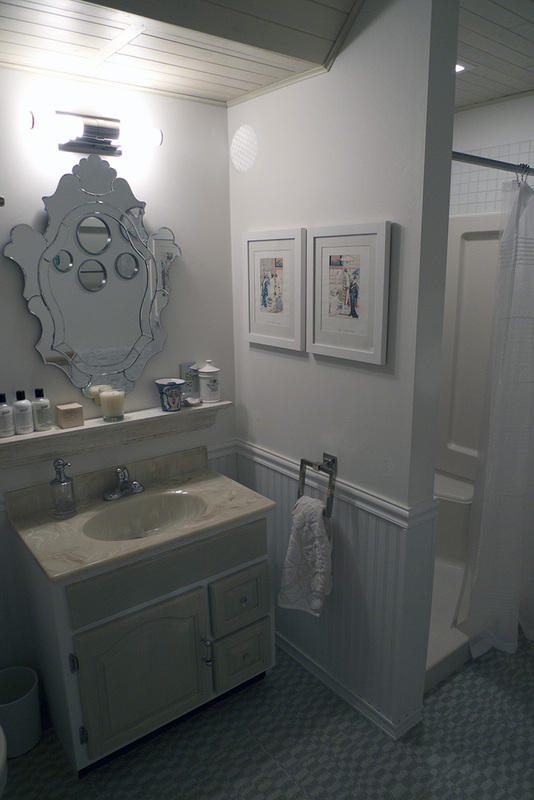 There's a well-appointed second full bathroom down there, too, and lots of light from several windows. The lake itself is stocked with bass and pickerel. The community provides a swimming platform in summer, and residents clear the snow for ice skating in the winter. Supplies are an easy drive to Liberty, Jeffersonville or Bethel. The Bethel Woods Performing Arts Center and the shops and eateries on White Lake are 15 minutes away. This location has another excellent upside - the commute is just an hour and a half from the GW Bridge.